Very little is known about cloud forest species distribution, let alone their physiological properties and tolerances. Along with woody species identification, ABERG has been collecting and researching plant physiological properties of tropical species in order to understand their response to climate. Major contributors to ABERG’s plant physiology work have been Patrick Meir and Yadvinder Malhi. Marjan Van der Weg has been investigating the properties of cloud forest leaves throughout ABERG’s elevational transect. 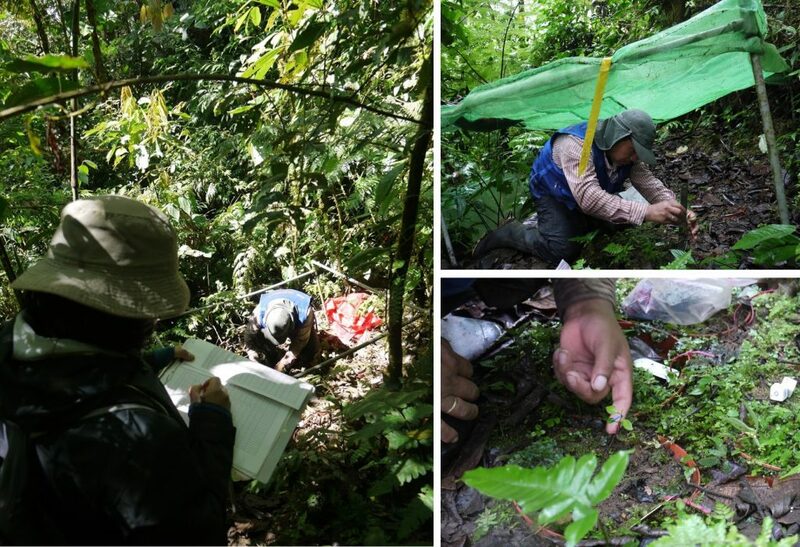 Among her findings have been that tropical montane forests in this region are not Nitrogen limited and a description of the photosynthetic parameters of leaves along the transect. the allocation of NPP both above- and below ground remained constant across elevations. growth and maintenance respiration rates significantly decline with increasing elevation.